At Maple Grove Family Dental, our caring team treats you like a member of our family. Come experience comfortable dentistry in an environment designed to feel like home. We look forward to showing you what judgment free, no fear dentistry feels like. Referrals are the highest compliment we can receive! Refer a friend or family member, and you'll both get $50! At Maple Grove Family Dental, you’re never just another dental patient – instead, you and your loved ones are valued members of our collaborative team. We've worked hard to create a comfortable office atmosphere that is warm and inviting to our patients. 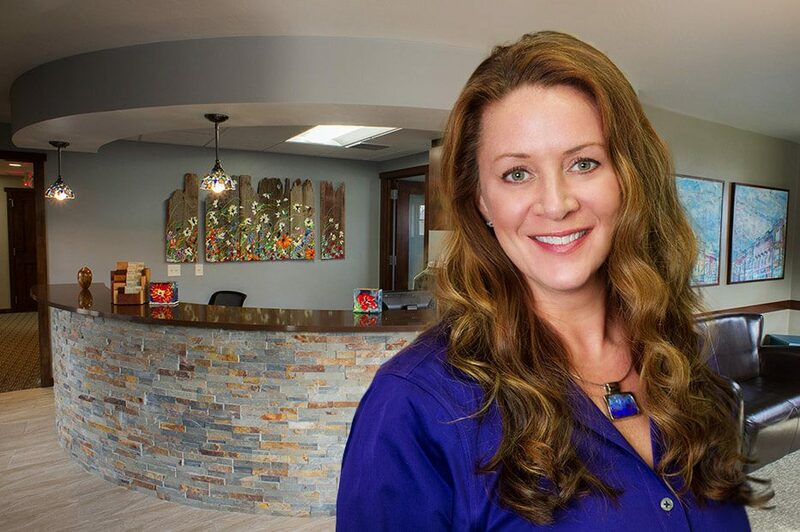 Dr. Melanie White offers a wide variety of effective services, including restorative care, cosmetic treatment, periodontal attention, implant restoration, refreshing hygiene, and much more. Our office was designed for your comfort and to ease fears. A home-like atmosphere and unique amenities make dental treatments actually fun and enjoyable! Our team loves being a part of the Evansville community, and we enjoy giving back to both our neighbors and those less fortunate from all over the area. Maple Grove Family Dental is proud to support local schools and businesses, as well as volunteer in local activities and donate to various charities. Our office is also home to beautiful pieces of artwork from local painters, sculptors, woodworkers, and photographers. If you have a community event coming up, we’d love to know about it! Nothing is more important than protecting your smile – especially if you’re an active athlete. Research has shown that pressure laminated mouthguards may reduce risk of concussion and cervical spine injuries in athletes. Dr. White has invested in a pressure-laminated mouthguard appliance that constructs fully-customizable sportsguards, tailor-made for your unique smile. And, all patients of record are eligible to receive one absolutely free of charge! Our office is in-network with nearly every insurance company, offering patients unparalleled service and savings. We’re exceptionally skilled at maximizing your benefits to ensure out-of-pocket expenses are minimized. We additionally offer affordable payment plans with 0% financing and monthly payment schedules through CareCredit.